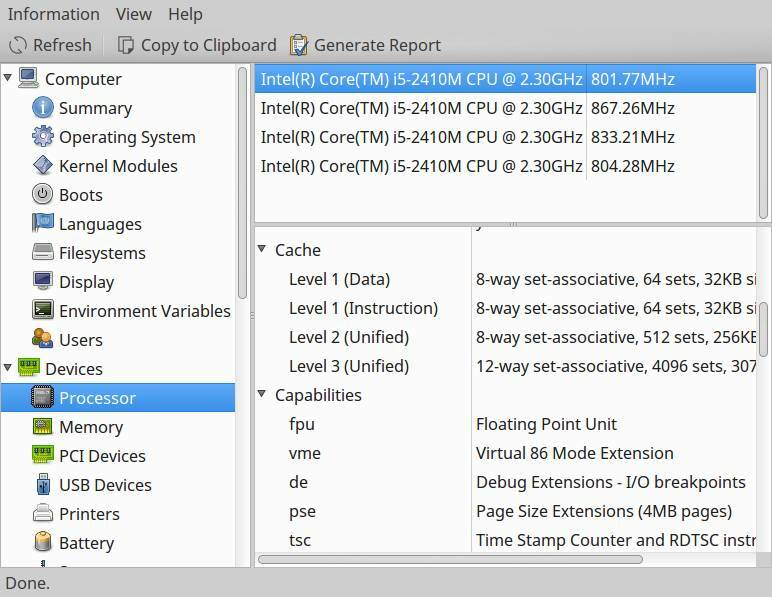 Sometimes we need to find CPU related information in a Linux system, such as CPU vendor, number of CPU cores, number of threads, CPU clock speed, available CPU cache and many more. You can easily check CPU info in Linux with few commands, there are many GUI apps for this as well, like kInfocenter for KDE or gtk based HardInfo app. This file is generated by the kernel during boot, contains some information about the CPU in a human readable format. This file could be used in different ways to know CPU related info. The easiest method is use the cat command and read it, or use the grep command to directly print the filtered results, no root privileges required. Now being more specific, filter the output of different commands and print exactly what we need, also use all three sources commands when needed to check cpu info in Linux. you can use any method mentioned above to find out this, I'm using the lscpu command here. All grep filtering parameters are merged into one, use only whatever you need. You need to append each brackets with one backslash for proper functioning of grep command. If you are not familiar with what is NUMA, read this NUMA wiki article. You can easily observe the hyper threading capability of the CPU from the threads per core count, here it's 2 threads per core. 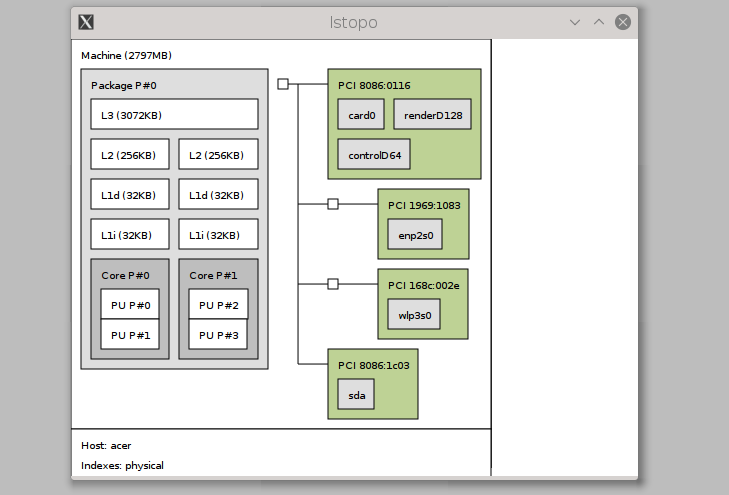 To know your CPU architecture, it supports 64 bit OS or not, and CPU endianness , use the lscpu command. To check the current frequency and maximum/minimum frequency supported by the CPU use the lscpu command. You can use the CoreFreq application on Linux to check CPU usage and more. You can use the lscpu command to find available L1, L2 and L3 cache memory. The hwloc -ls command displays the CPU cache memory in a nice picture, it's a GUI app, more about hwloc-ls bellow. Read more about microcode, how to update CPU microcode in Linux. There are lots of them, KInfocenter, HardInfo, cpu-g, hwloc and so on, I'm going to discus about Hardinfo and hwloc . Here's how to install Hardinfo in any Debian based distro with apt-get. You could run it from a terminal emulator by running the hardinfo command,or open up from the menu, usually named as System Profiler and Benchmark. The HardInfo interface is quite easy to understand, explore through different options to discover more. Run hwloc-ls or lstopo , this will open up a GUI window, displaying a nice image like bellow. A great visual representation of the CPU information and how some devices are connected through the PCI-E bus. So, that;'s it, how you could find CPU info in Linux, strip down the commands according to your need while using within a shell script. I hope this tutorial is informative and easy to understand. If you have any suggestion or question, just drop a comment, also don't forget to share this tutorial if you find it useful.